what's everyone setup look like? this is my rig that i currently use with my band for bass. but at home i noodle with it on my grestch anniversary. Nice setup liste2gene..I can't even imagine a bass going through those! Here is one version of mine. I had some power issues so I've temporarily replaced some of these with cheapo alternatives. I bought the Holy Stain because I read favourable things about it on here. It's got great echo options but the tremolo is a little weak I think. I pretty much never use the delay with the bass...but when i mess around at home with loops and my guitar, it's tops! everything else is just little bobs here and there. light coloring effects for jammers. that's a cool looking pedal company. 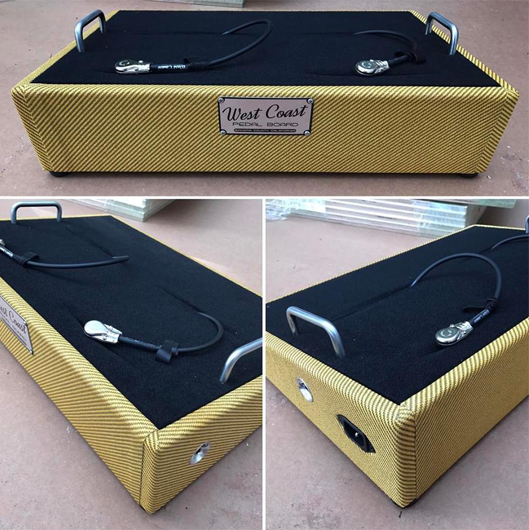 reminds me of https://www.facebook.com/salvagecustom who makes some similar luggage style boards. i wanted to get one. but they are quite expensive. i've recently been swapping cables with the solderless lava cable kits. they are fun. but not sure if they are "road worthy". guess time will tell. 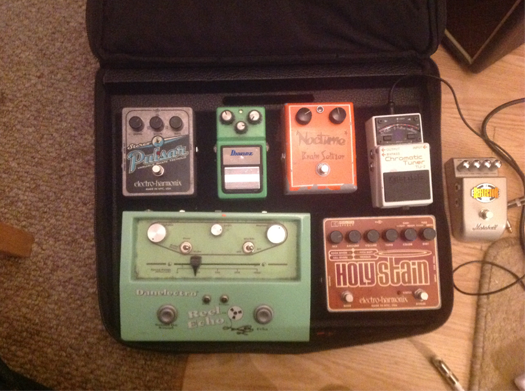 I can't be doing with big boards any more so this is my wee board that I can sling on my shoulder with the handy soft case and/or leave on the floor in my room at home where I mess around without it getting in the way. I run this into two amps in a sort of Wet/Dry rig (sort of coz the Flint goes to both amps) and I have another delay in the loop of the "Wet" amp. 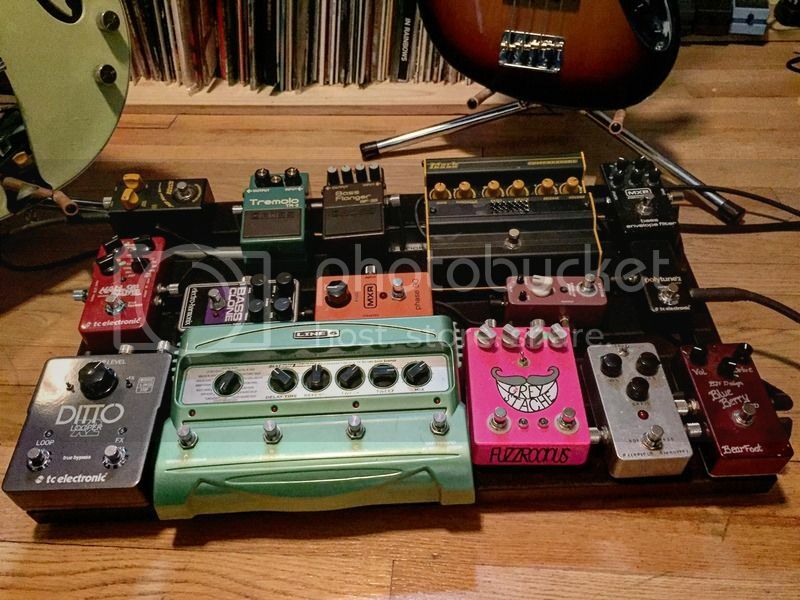 The Thorpy drive pedals are the main meat of my rig, I absolutely love them.